Automakers Nissan and Renault will sell electric vehicles in Portugal in 2011 and the allied companies have partnered with the government in an attempt to create a national network of charging stations. 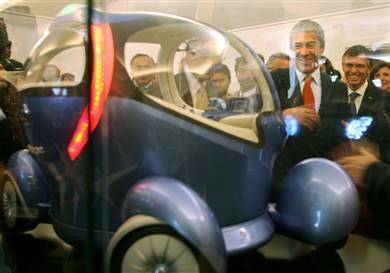 Nissan has said it will sell electric cars globally in 2012, but the technology is still being developed. In July, Carlos Ghosn, chief executive of the French and Japanese automakers, and Portuguese Prime Minister Jose Socrates announced they would work together to raise awareness about the vehicles and try to make them easier to fuel. Nissan has aggressively pursued deals with cities and governments on electric vehicles, as soaring gas prices and worries about global warming make the green technology more appealing.